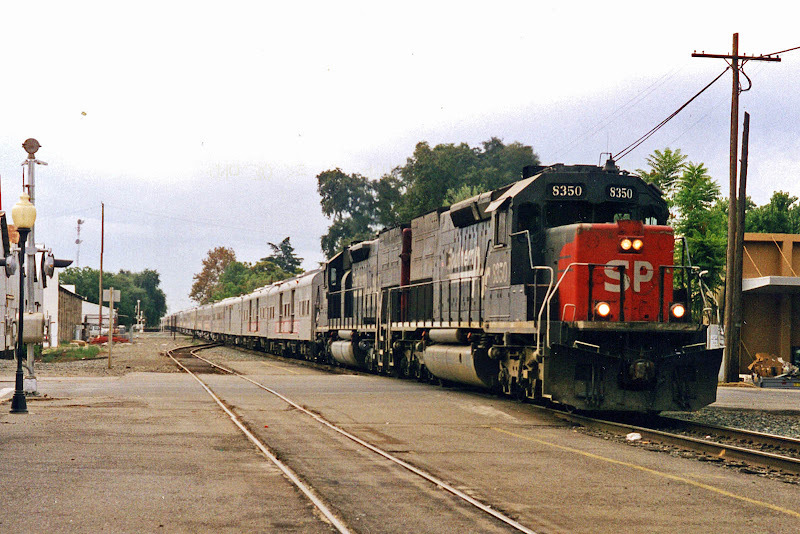 The question is as to whether we will see them run again under the current lessee? 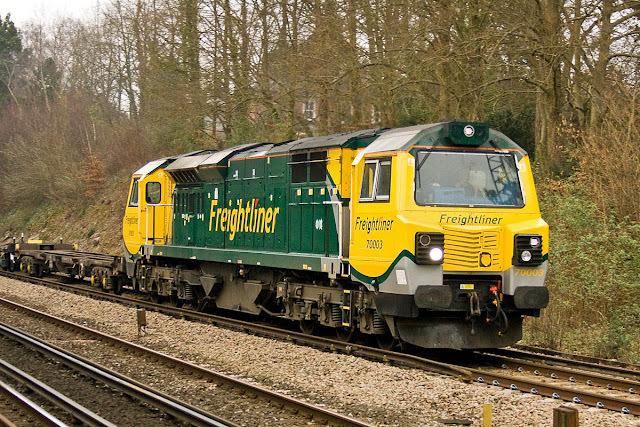 Only 7 of the fleet appeared to be working in recent days, with the remainder at Leeds. 70001 PowerHaul, Ipwsich, 23rd November 2010. 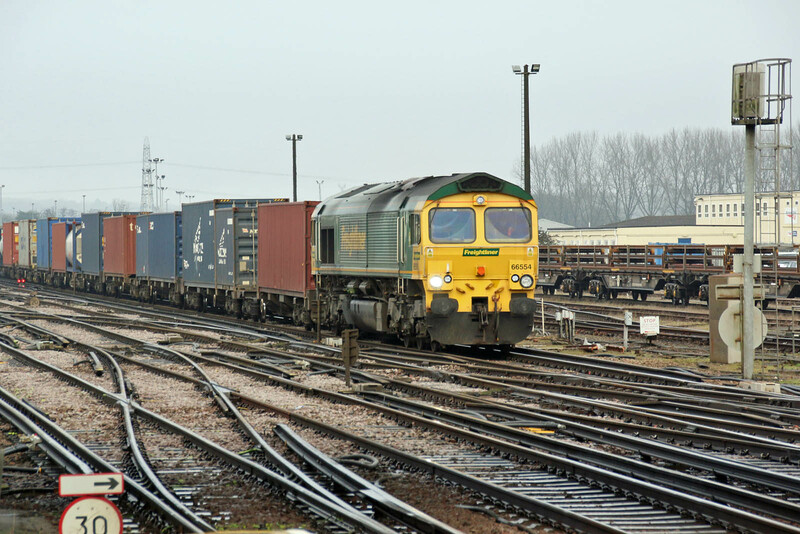 70002 Eastleigh, 12th March 2016. 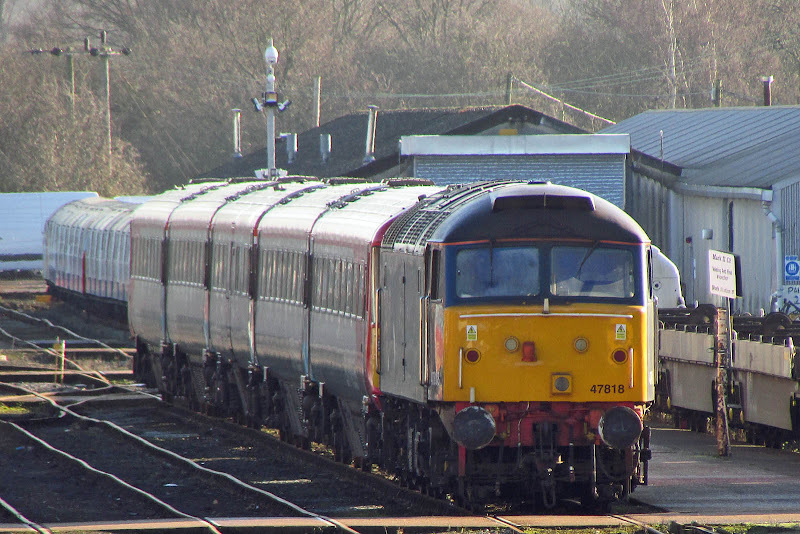 70003, Shawford, 5th March 2011. In January 2011 this had been the first of class at Southampton. 70009, Millbrook, 21st September 2013. 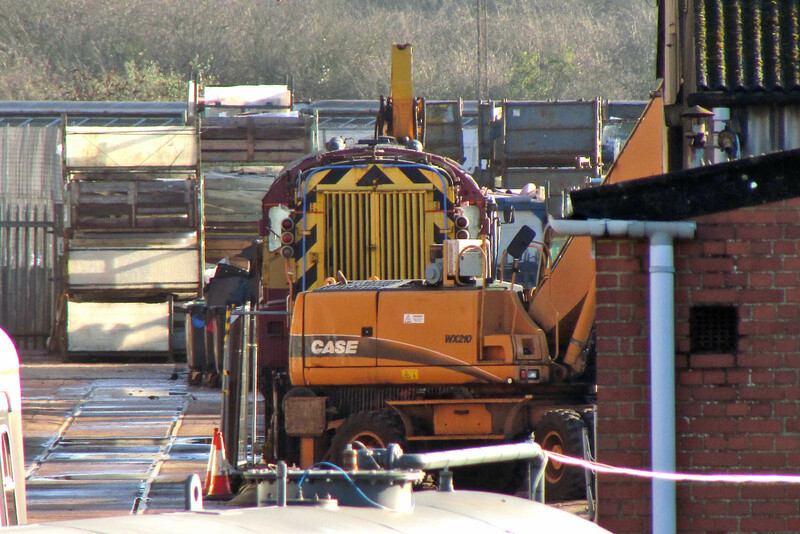 70013, Eastleigh, 17th December 2016. 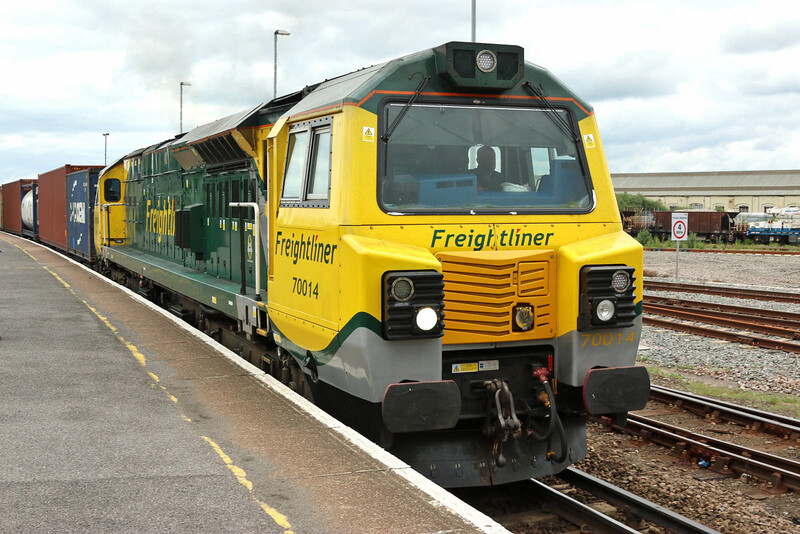 70014, Eastleigh, 18th June 2016. 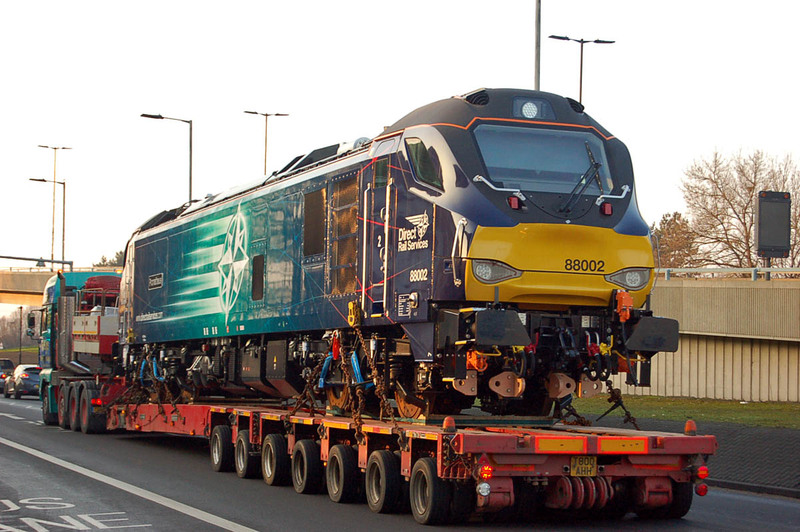 88002 Prometheus is heading for Carlisle Kingmoor. Location is near Redbridge roundabout. 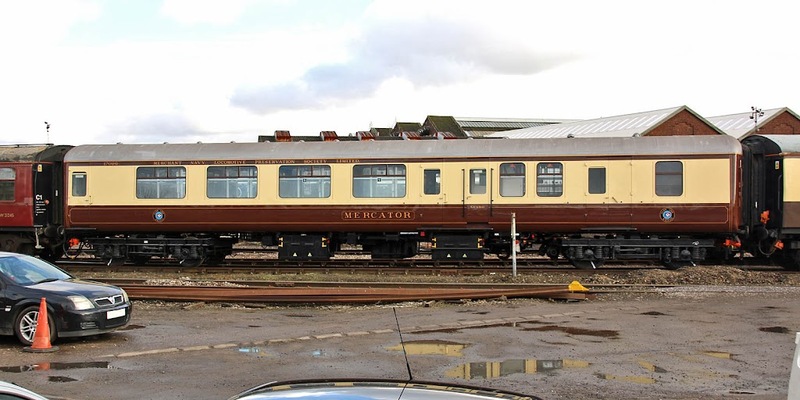 Welcome McPet to the South Coast! 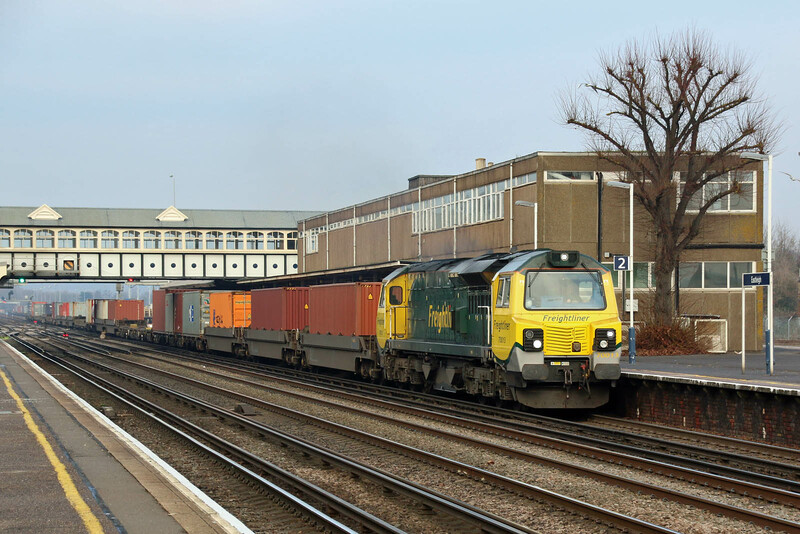 37025 leads 1Q01 past Totton, 17th January. 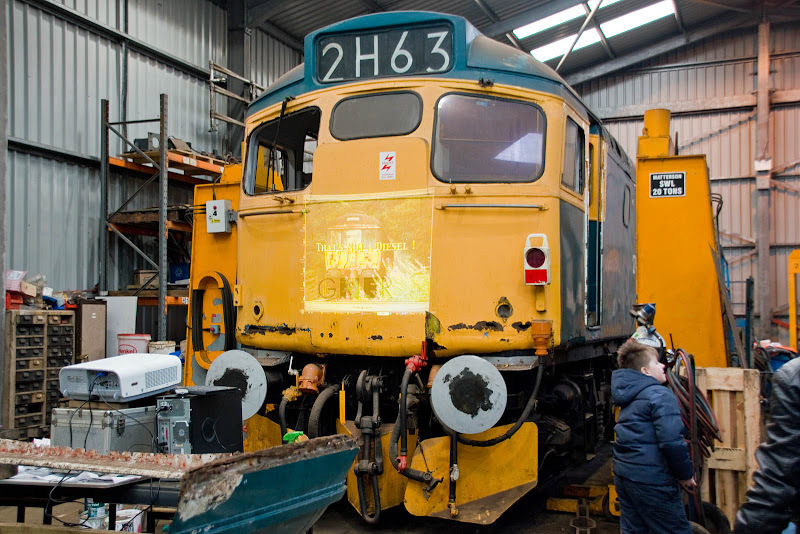 37025 has a working steam heat boiler and is through wired for ETH, Image by Ian Knight. 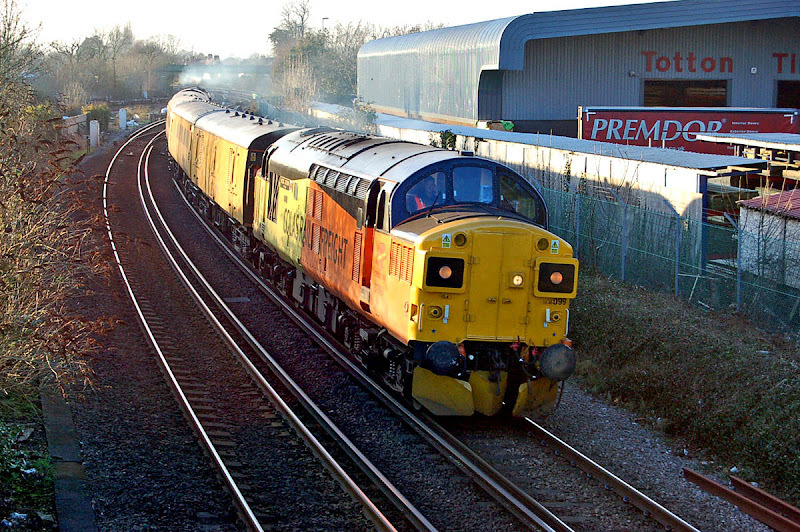 Later 37099 leads the returning 1Q01 through Totton. 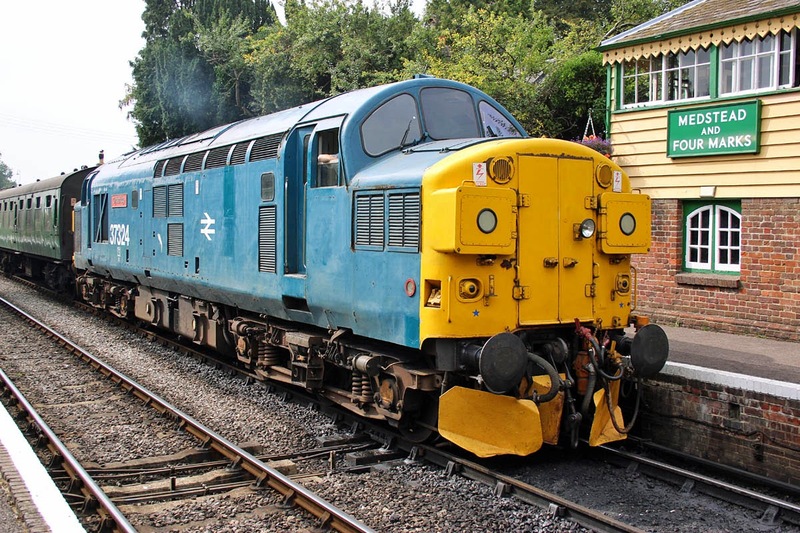 Recently on the Watercress Line as 37324. Image by Ian Knight. 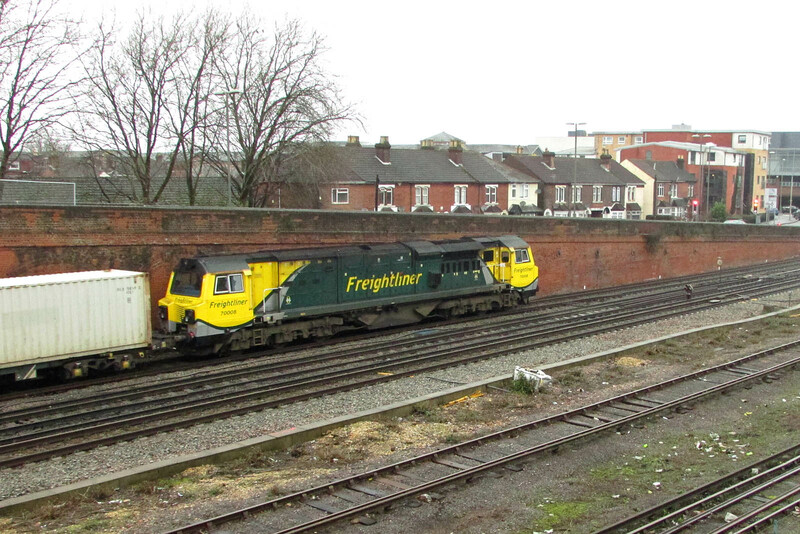 Class 70s at Leeds Midland Road: Currently reported to be 70001 / 70002 / 70003 / 70009 / 70017 OOU of 10 total on the depot (20th January). 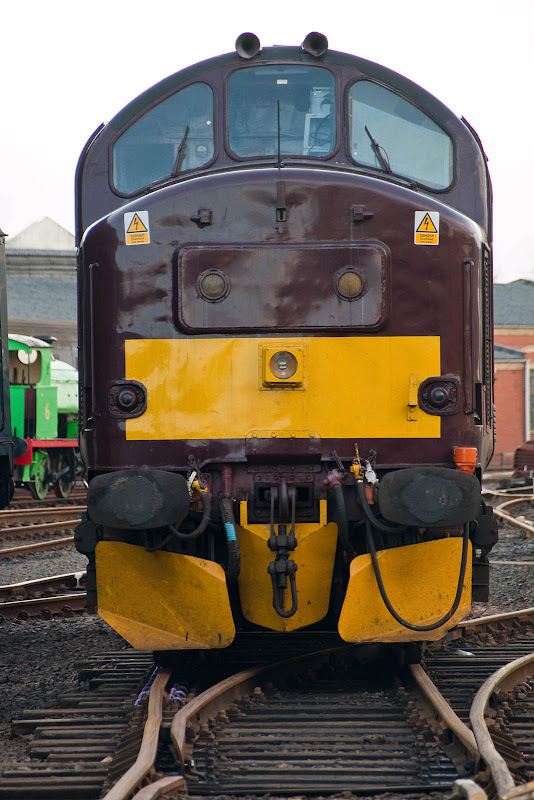 57011 is still at Crewe, and has now been noted on 18th January with its engine running. 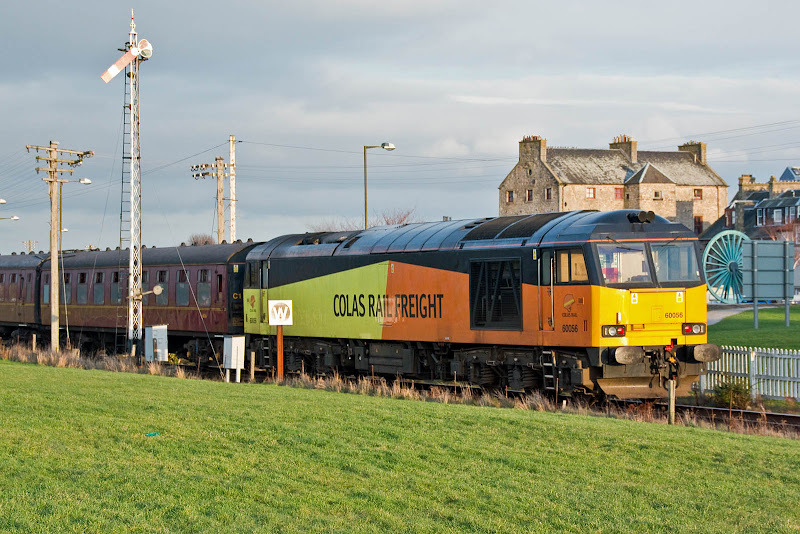 37685 was lying over at Bo'ness in a standby role for West Coast, possibly related to potential snow duties, although no usage has been recorded so far in January, where DRSClass 37 locomotives have been used. New as D6934 from English Electric Vulcan Foundry on 10th April 1964, and first allocated to Landore. Renumbered to 37234 in March 1974. 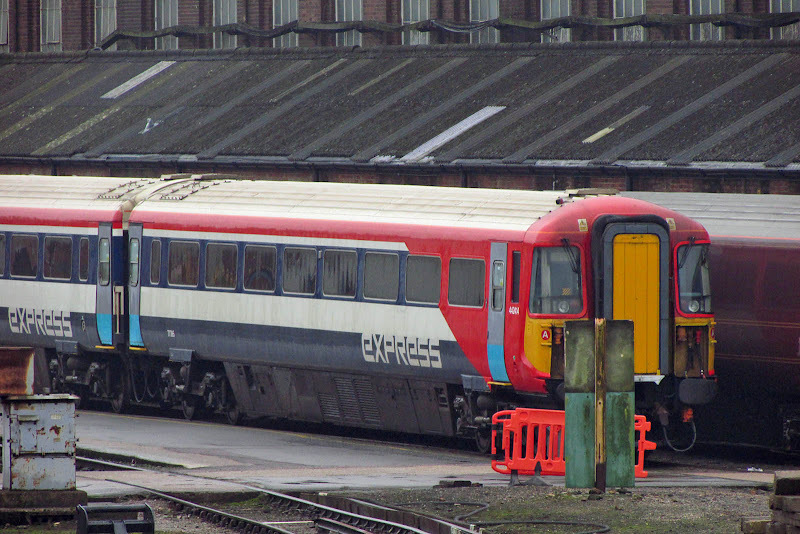 Completed overhaul at Crewe in March 1987 and emerged as 37685. 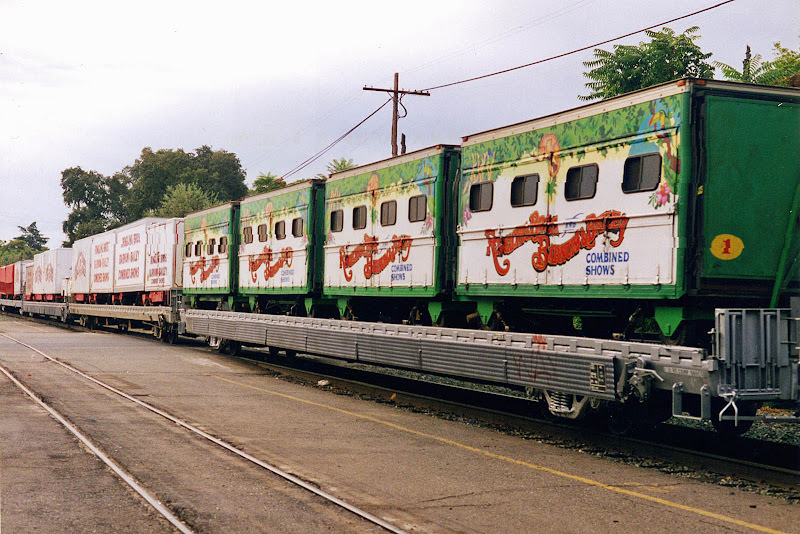 Withdrawn in June 1999 and sent to France, returning in August 2000, working again briefly in September to November 2001. 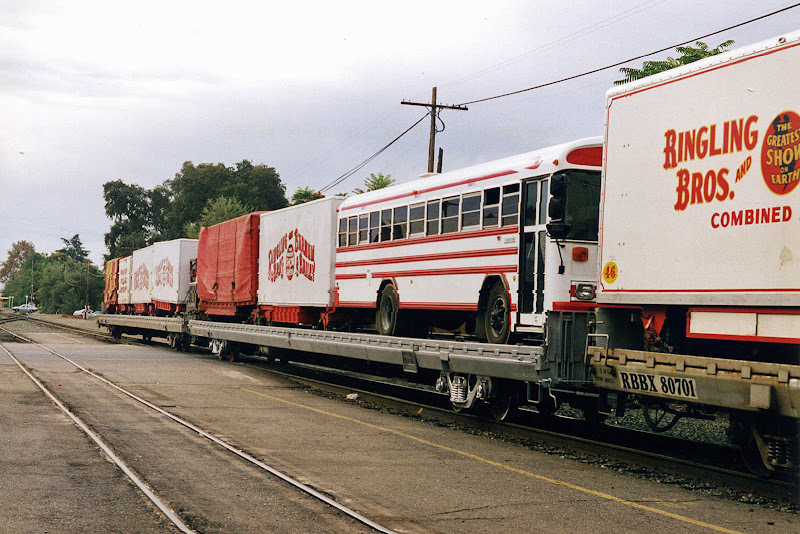 Purchased by West Coast in September 2007, who returned it to traffic in May 2010. 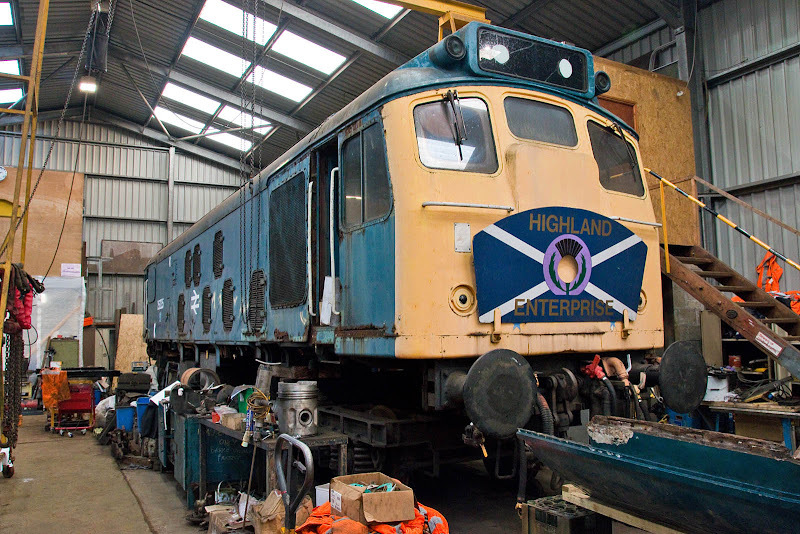 In March 2015 the locomotive encountered a tree in the Highlands, and was not returned to traffic until June 2016. 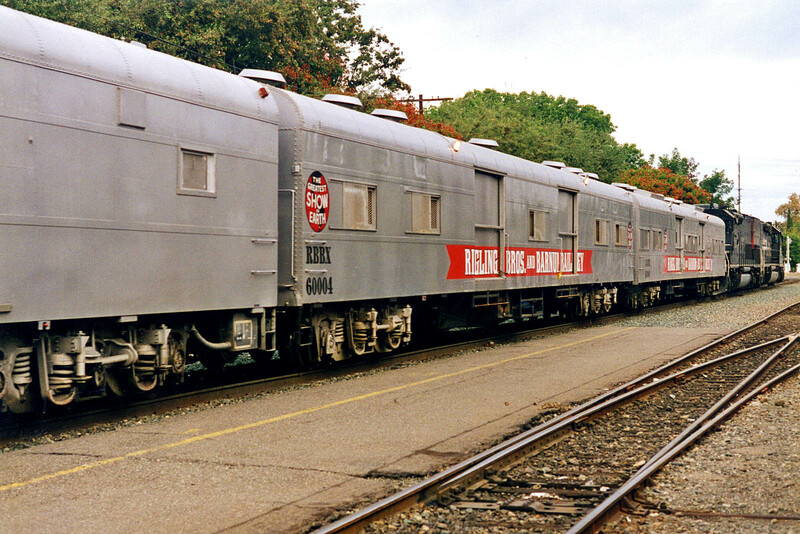 Detail of one cab end. 66603 newly arrived from Leeds and in position for its exam. 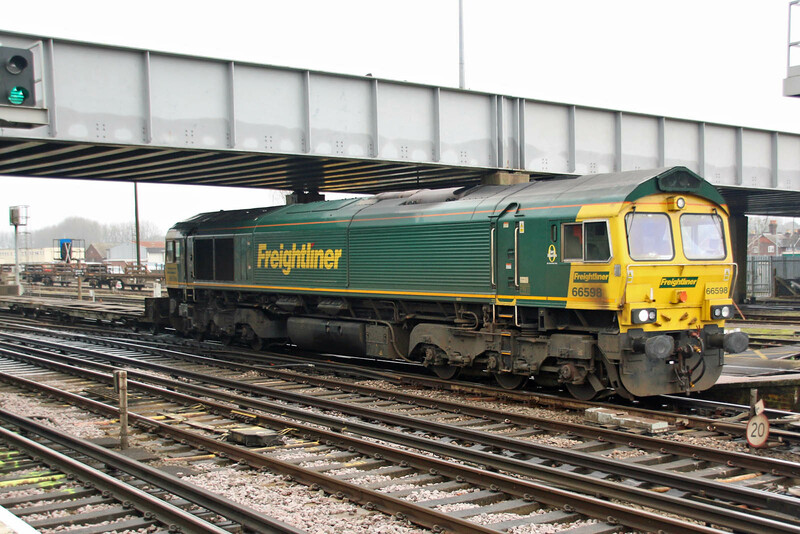 The 66/6 variant has been rarer in these parts since Wool sand trains stopped running. 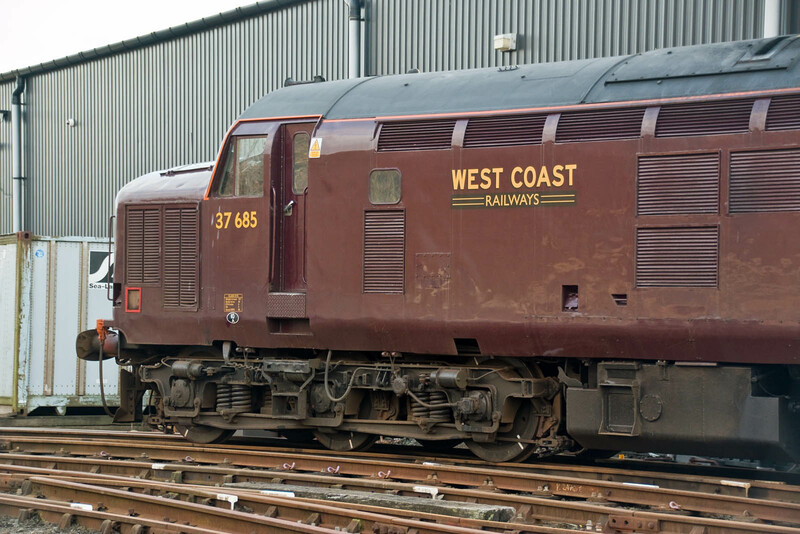 'DRS Compass' remnants in the livery of 66413. 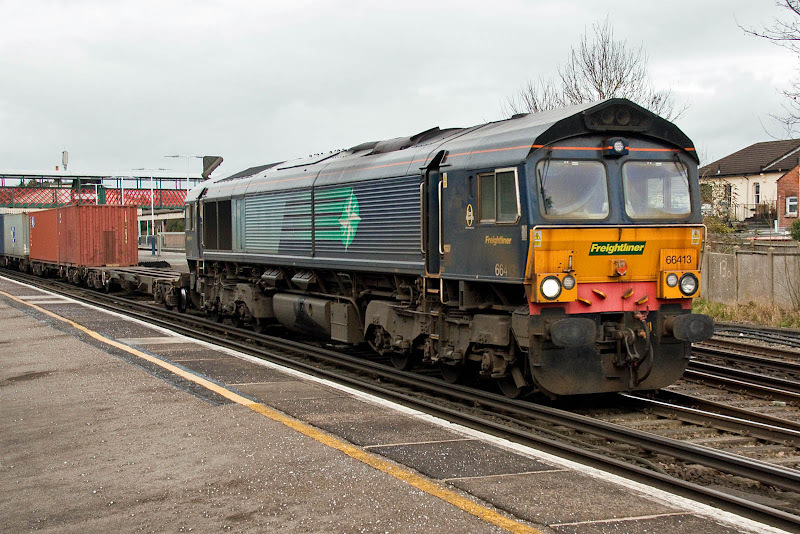 60054 with 6V41 Eastleigh - Westbury at Redbridge, 10th January. Image by Ian Knight. 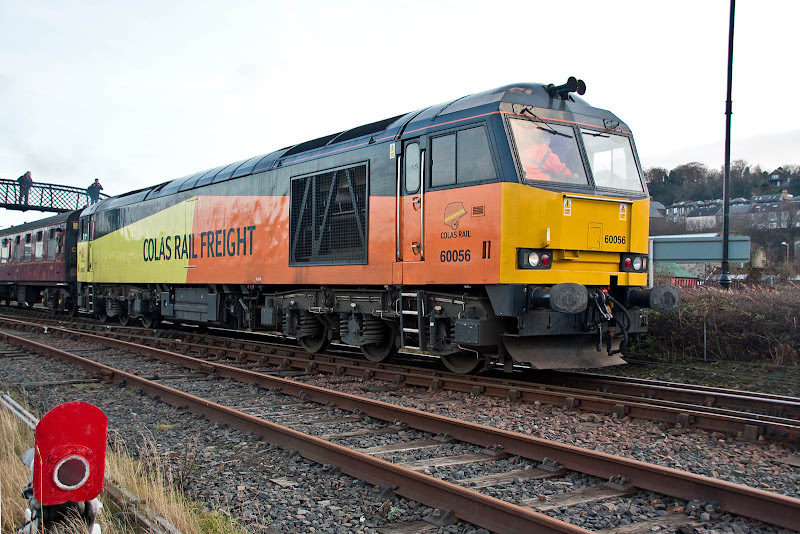 57011 has been removed from storage at Longtown, initially moved to Kingmoor, then to Crewe on Tuesday one two and planned for onward transit to Eastleigh for a bogie swap with 57308, which is currently under overhaul at the works. 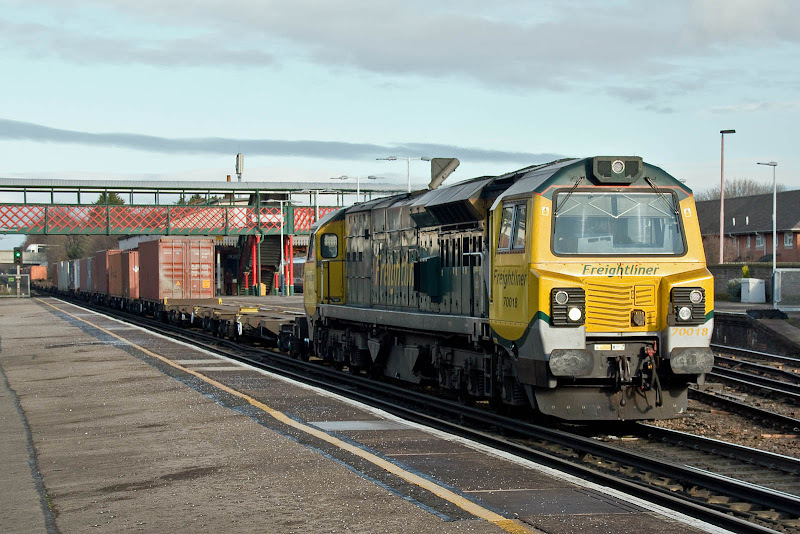 Parts were delivered to Laira at Christmas for 70803, which may be to enable movement to another location for repair. 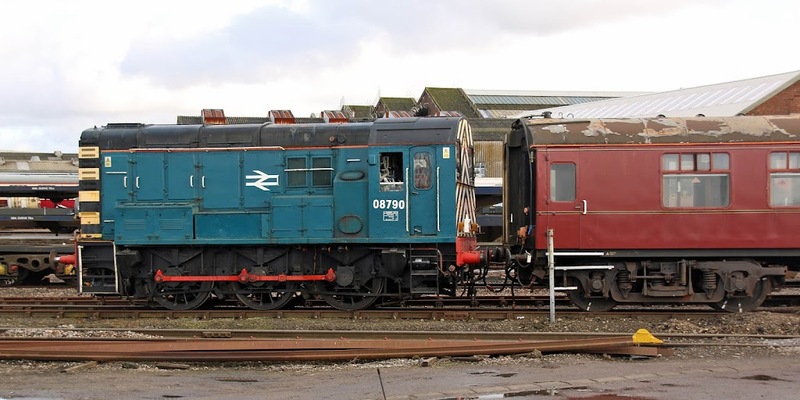 The longer term restoration projects are now 25235 and 27005, both with previous running history here in better days. 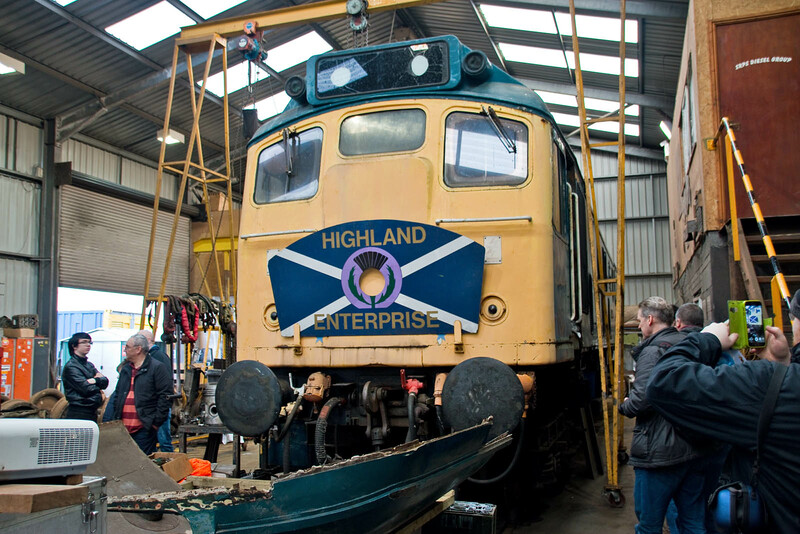 25235 in particular is in need of new tyres, and has a fund for this purpose. Quotes seem to shortly be being requested for the new tyres. There is also a restoration gallery. I believe that the piston is from the Sulzer 6LDA28-B engine in 25235. The fibre glass is from a cab roof from 27005. 27005 has one cab stripped down for corrosion repairs, following a pattern seen elsewhere for BRCW cabs. 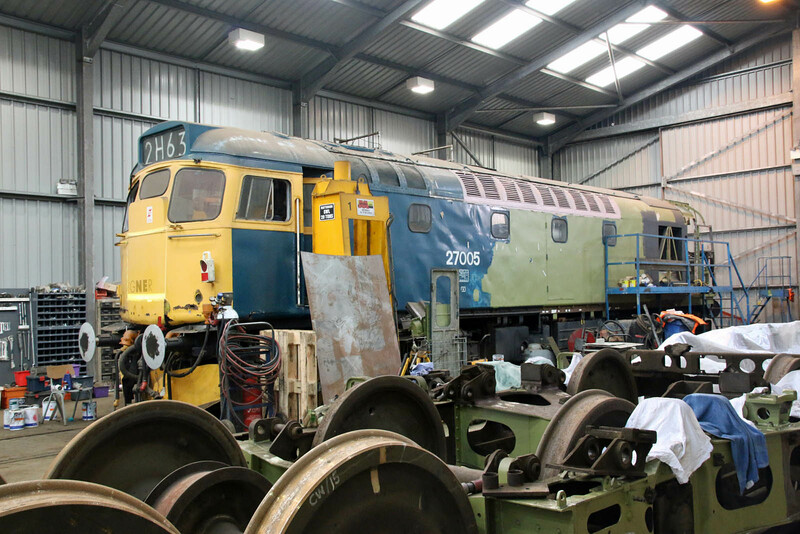 27005 also has a restoration gallery. 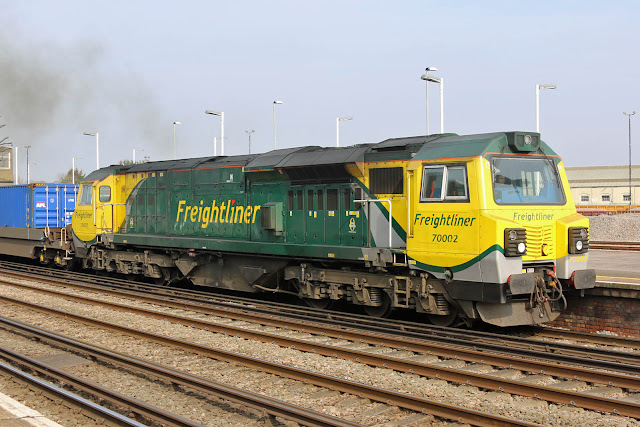 A wag has added a GNER logo to the front of 27005. Video is projected on the intact No. 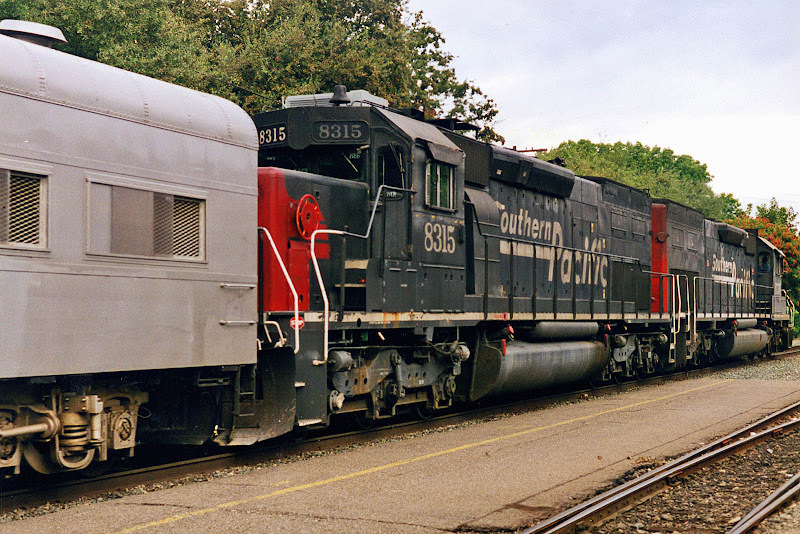 2 cab front of 27005. The No. 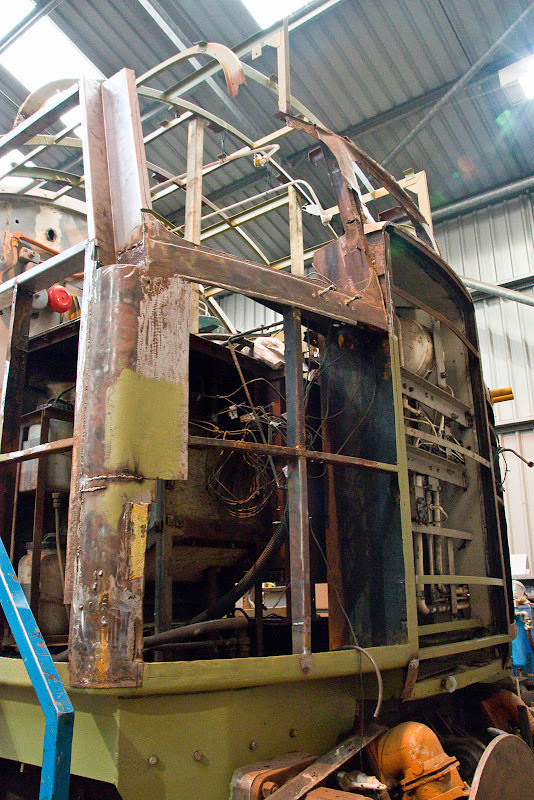 1 cab is well stripped, with clear evidence of new metal and welds. 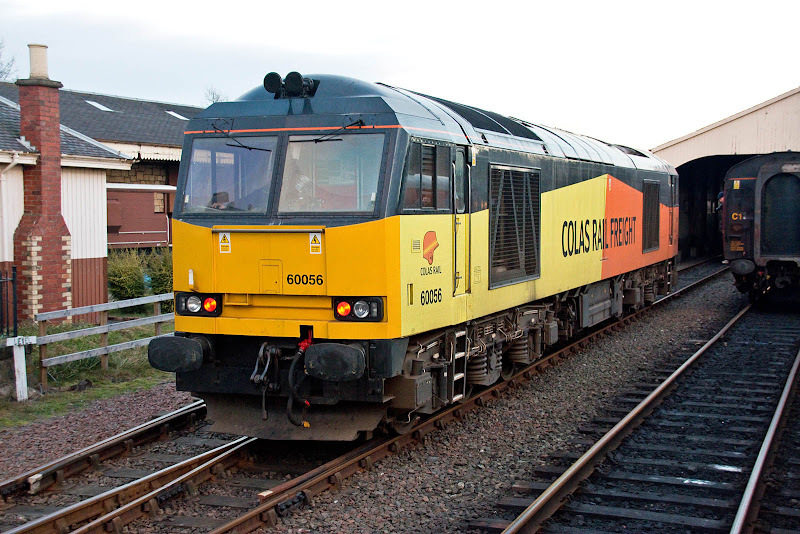 The first Class 60 to Bo'ness. 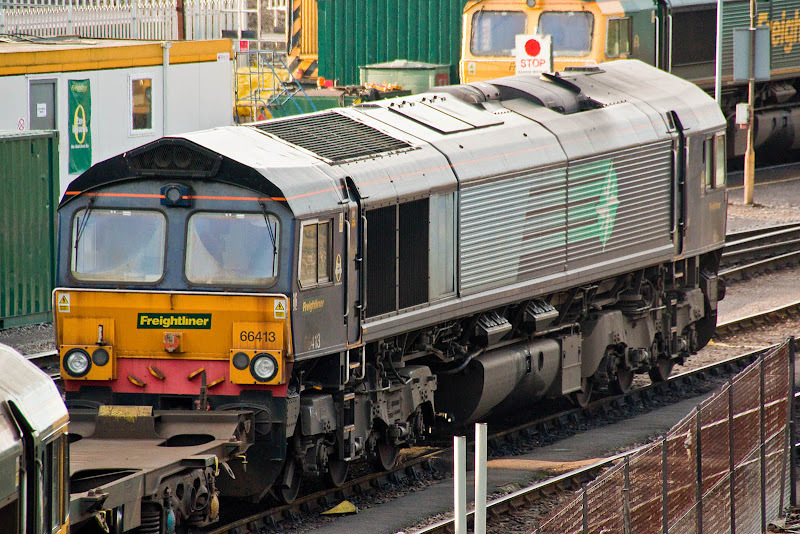 60056 arrived on loan while laying over at Grangemouth. Departing as the delayed 12:30 to Manuel. Returning through the Bo'ness shoreline, on the rear with the delayed 13:59 from Manuel. 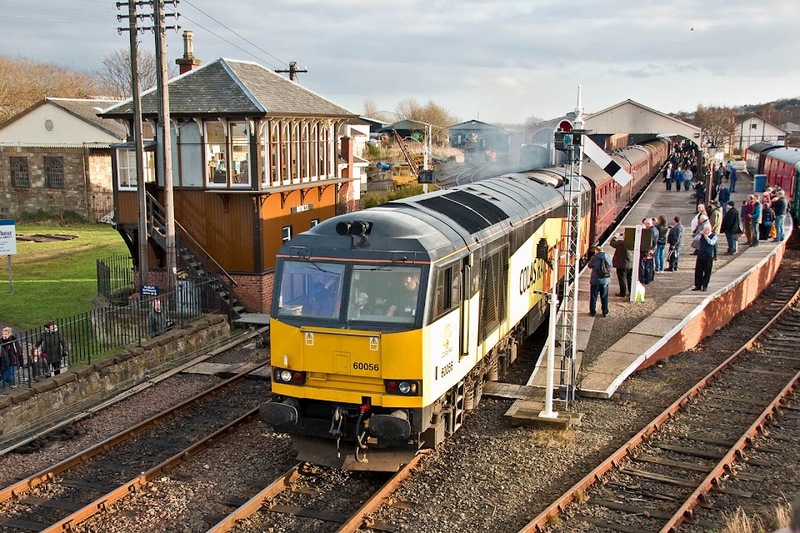 Departing with the delayed 14:30 from Bo'ness. 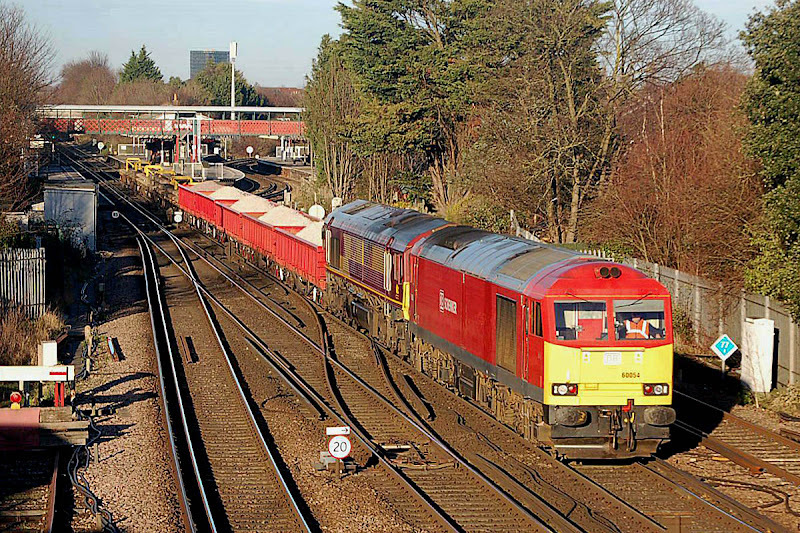 60056 was new in May 1991 to Immingham and was named William Beveridge. 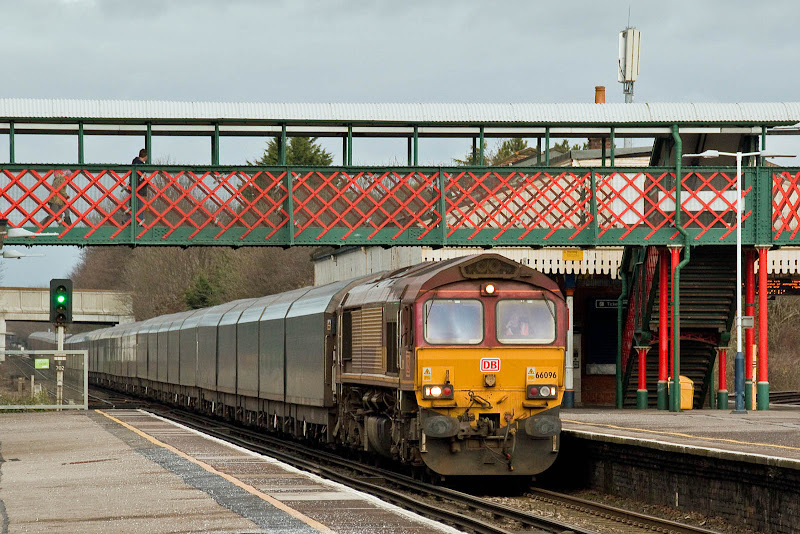 Running around to join 47643 on the rear for delayed 15:30 from Bo'ness, for return to the main line. 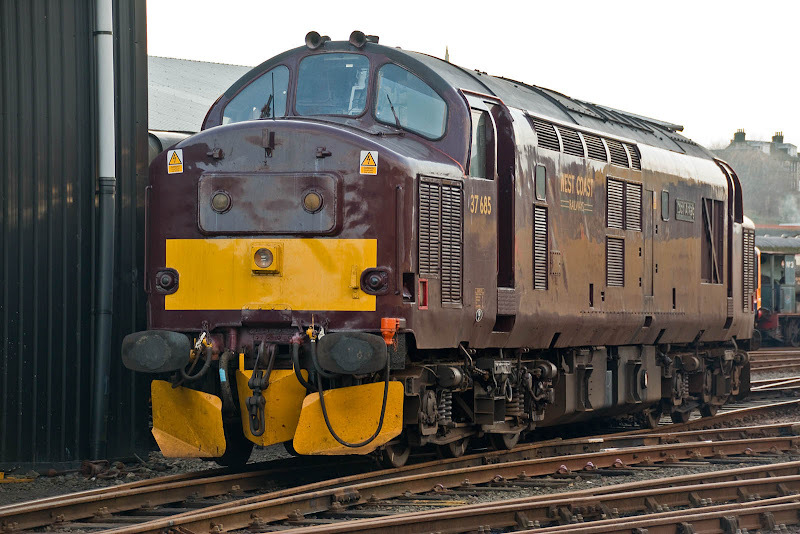 442414 at Eastleigh Works,not yet ever hauled to Ely. 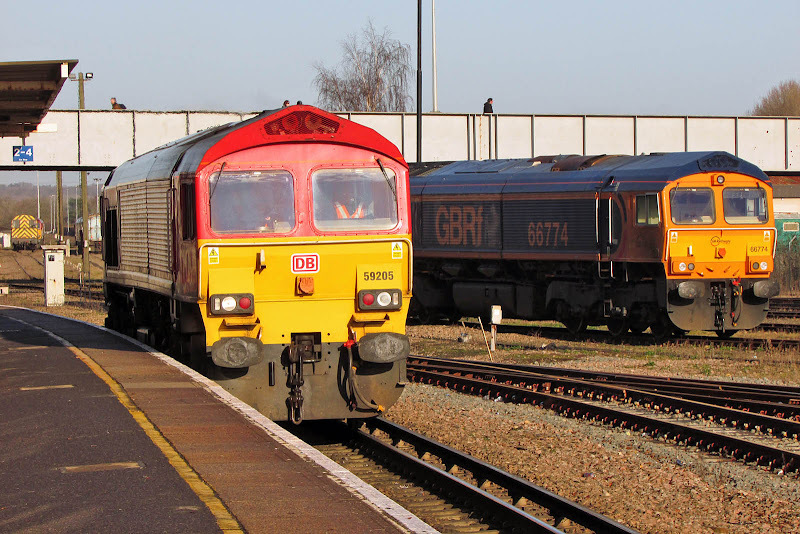 70008 with a late running 4M55 10:00 Maritime - Daventry. The only Class 70 seen today. 66554 arriving with 4O27 05:21 Garston - Maritime. 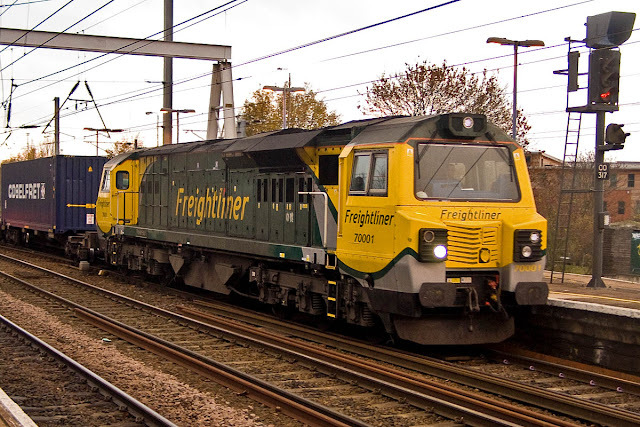 4 trains moving at once, 444030, 444020, 444036 and 66503 (hidden) entering East Yard with 'Ecofret' flats from Maritime. 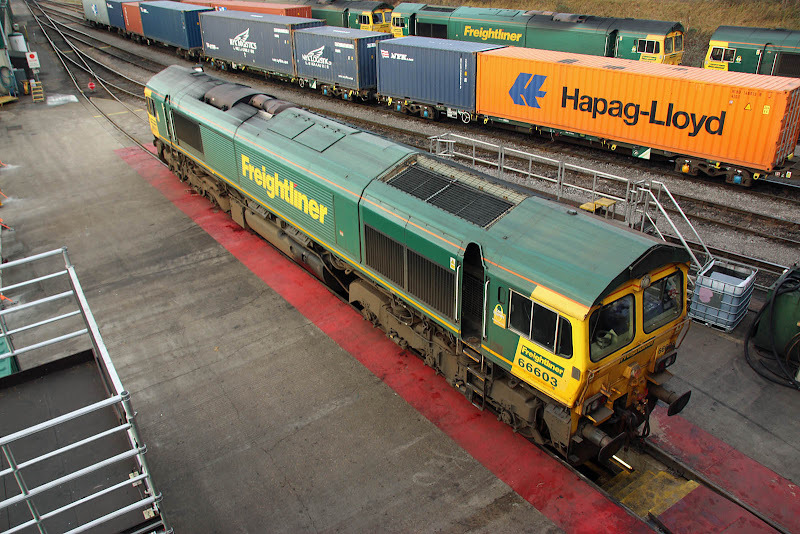 66598 with 4O90 05:27 Leeds - Maritime. 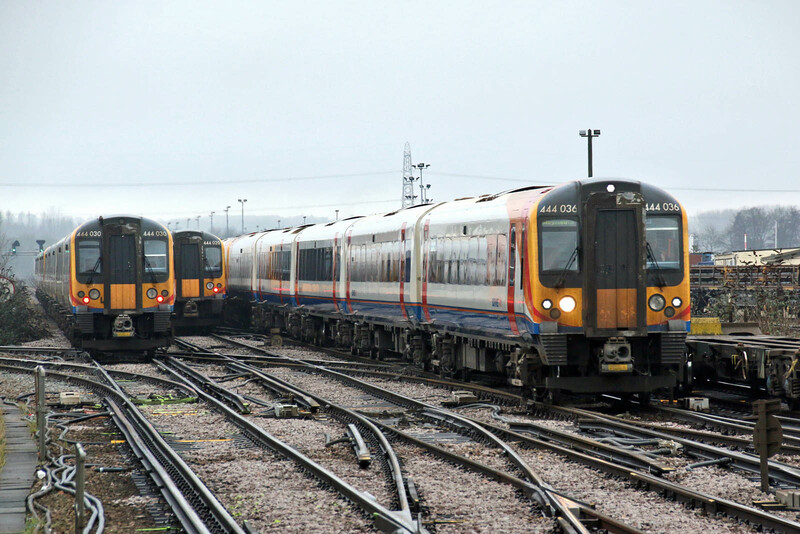 Class 70's out of use at Leeds on 1st January: 70001 70002 70003 70007 70009 70010 70014 & 70017. 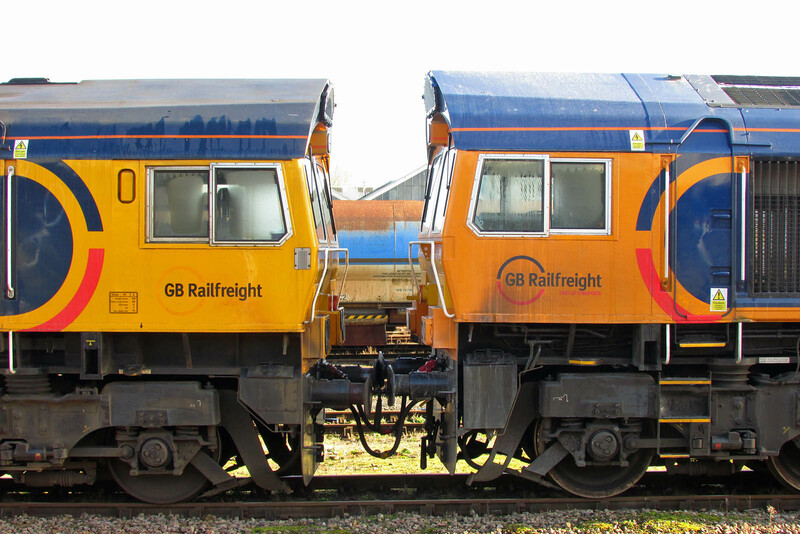 70004 & 70006 have been reassigned to support the Intermodal DFGI pool. 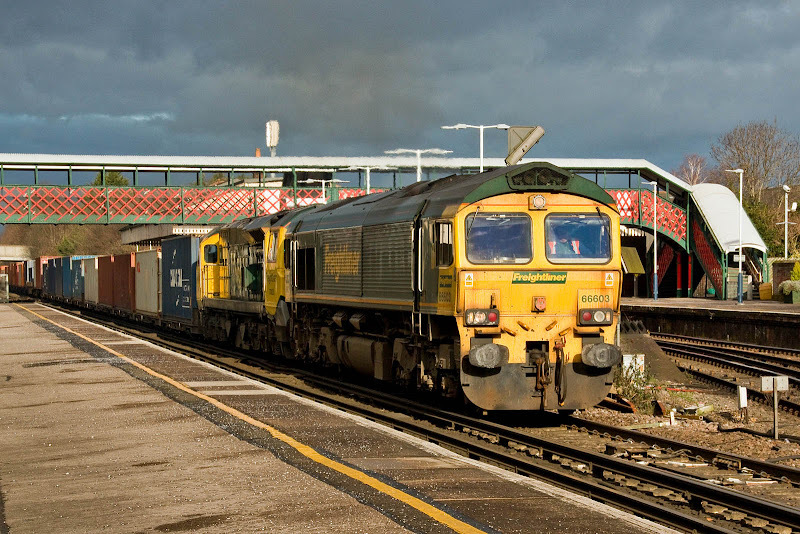 Grand Southern (Alliance Rail Holdings Ltd) track access application to bring Class 442's to provide Southampton - Waterloo service. The consultation responses indicate a fair degree of opposition. 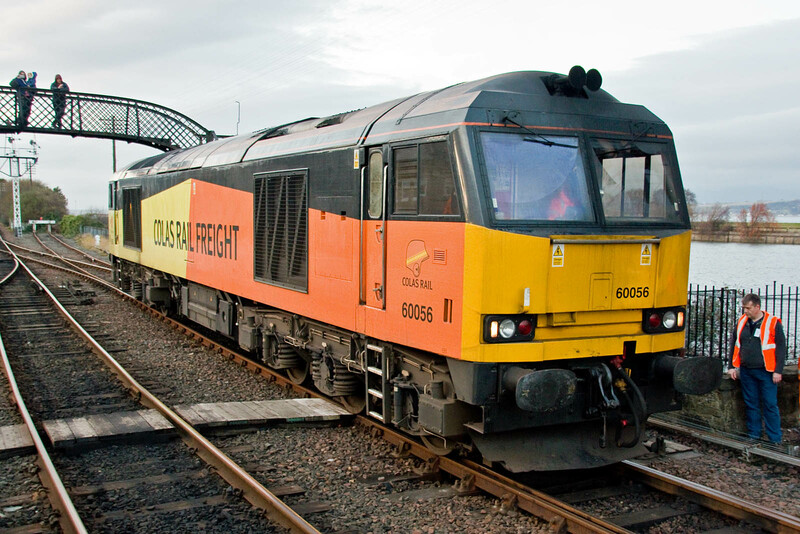 DBC Class 67 sale: 67023 and 67027 have been reallocated to a Colas Storage pool. Logo changes at GBRf. The TML Circle and "Part of Europorte" message seem to being removed following the recent sale transaction. 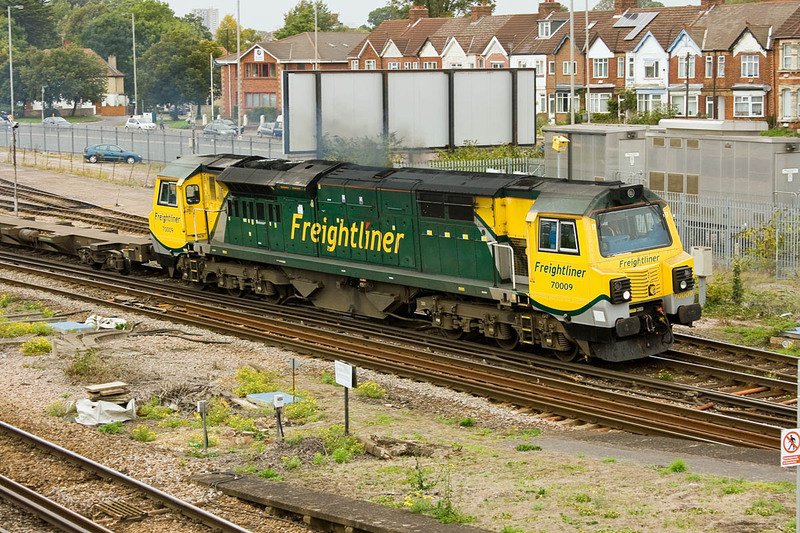 66712 (left) and 2016 delivered 66774 (right). 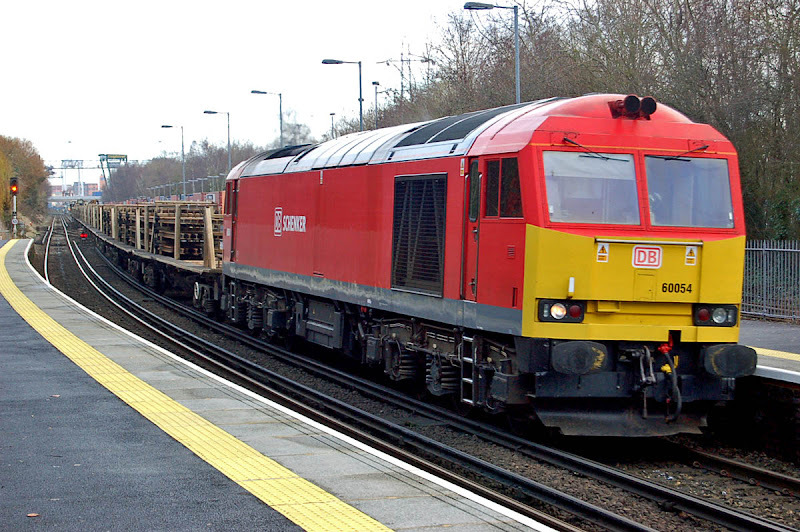 59205 appeared to be working on crew training duties, arriving as 0Z63 10:35 Westbury - Eastleigh. 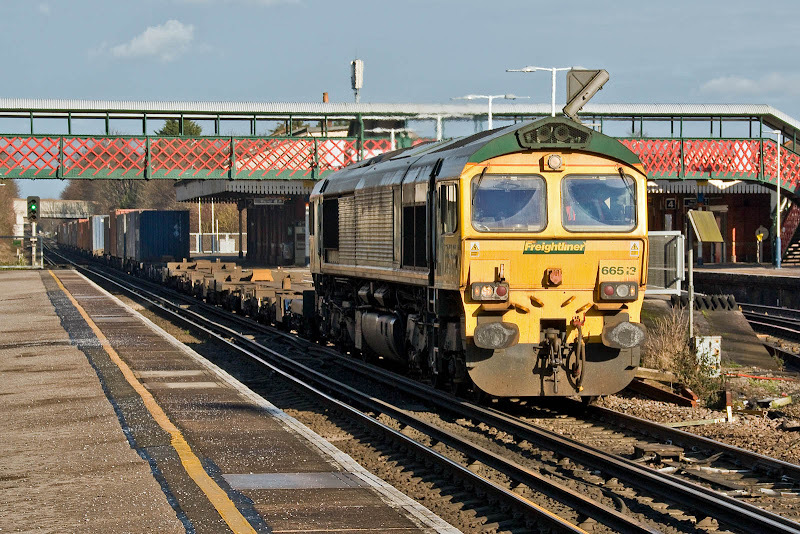 It later ran to and from Salisbury. It is about 10 years since 158880 was refurbished and delivered to SWT. 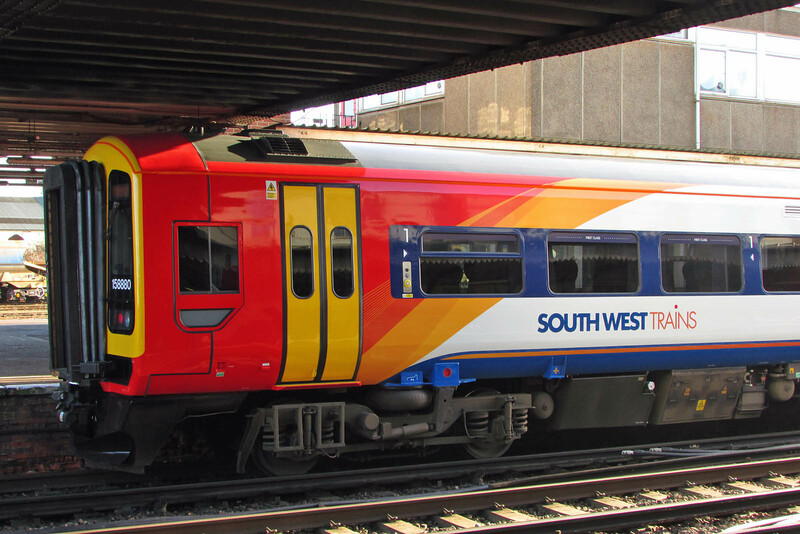 It has recently been repainted in the new whiter version of the SWT livery. 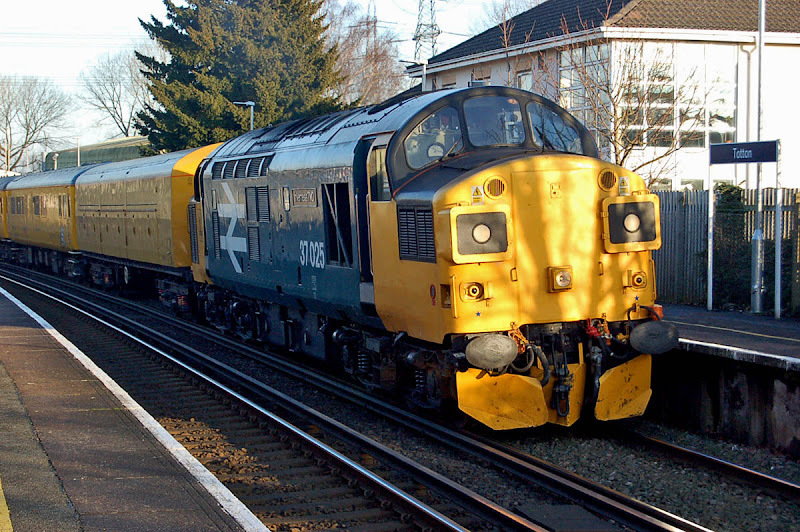 47818 with a 5-WES Class 442 "Plastic Pig". 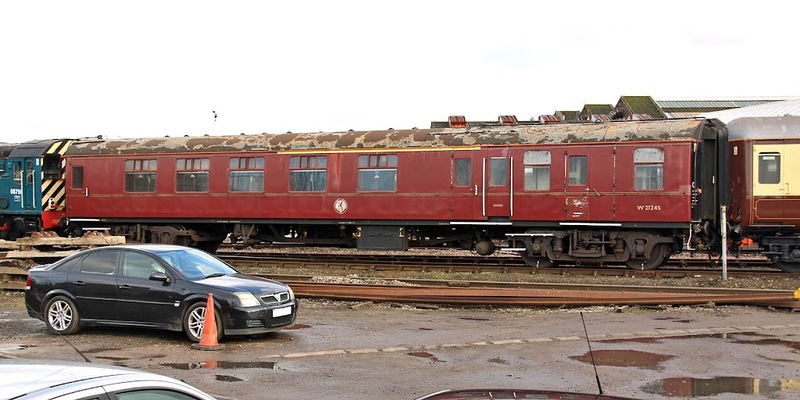 08879 was recently delivered to Raxstar from Margam, and appears to be in position for disposal.